The story is set in the spring of the Septian Calendar 1206, a year-and-a-half after the civil war, with the Erebonian Empire now the continent’s largest nation. After graduating, Rean is taking up teaching duties at the Reaves II Branch of Thors Military Academy. He is in charge of the Class VII “Special Duty Division.” One important location is Einhel Fortlet, an outdoor training facility for the students of Reaves II Branch School. It was designed and constructed by Dr. Schmidt, one of the new characters. Schmidt is a 72-year old orbal engineer admired as one of the leading minds, and now acts as a special adviser to the School. Two characters, Agate Crosner and Tita Russell, make a return from Trails in the Sky, four years after the events in the precursor trilogy. Falcom have continued to refine the gameplay system. 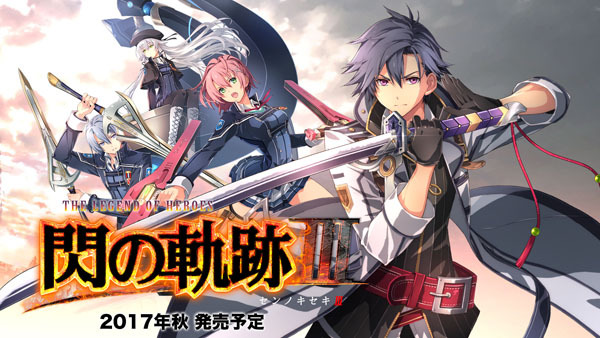 Cold Steel III replaces the "Ring Command" system from the previous two ToCS games with a "Direct Command" system where each action is assigned to a different button or direction on the D-pad. There is also a new system called “Brave Order,” allowing characters to invoke a tactical order affecting the whole party without using up their turn. The “Craft” technique command remains the same. A special command, “Style Change,” applies to the character Juna Crawford, who can change between two battle styles by switching her weapon. Battles are now entered straight from the field map, without change of terrain. The moment I clapped eyes on Legrand Legacy, I had that feeling that this game could be something special; hard to define, perhaps, but nonetheless palpable. My theory is that the amount of sheer love and dedication poured into a game will always shine through. I watched the December 2016 Kickstarter campaign closely and was sad to see that the (fairly high) goal was not reached. However, a second attempt by SemiSoft, a development company based in Jakarta, followed soon after, in January/February and reached its revised target. I proceeded to download and play the PC pre-alpha and was pretty impressed with how stable the game was running at this stage.. well, the first chapter anyway! I can’t tell you much about the story except that it starts out with our boy hero, Finn, coming to in a huge battle arena where slaves are forced to fight, facing a monstrous opponent. He obviously doesn’t die, but in time-honoured RPG fashion discovers he possesses a special power. From then on, it’s the traditional RPG quest journey — with the word “legacy” in the title, I’d expect nothing less. I love traditional RPGs, and this one drew me in straightaway, perhaps because there is such a promise of exotic locations, creatures and mysteries to explore. Or perhaps it was the classic turn-based combat with a big twist. The player has to select a battle action (physical or elemental) from a menu, then execute it perfectly timed (“Action Circle Tempo”) via the indicated button press for a bonus. Undoubtedly hints of Legend of Dragoon and even Chrono Trigger here, yet the gameplay does not look and feel like a carbon copy of classics and has very much its own flavour. But things do not stop at individual battles: the game eventually develops into a full strategy exercise with troop management and full battle planning. Oh, and there’s crafting, and rebuilding a castle with recruited NPCs, even mini games. Hmmm, a touch of Suikoden perhaps? The game looks beautiful, with 3D models and cutscenes, and hand-drawn 2D backgrounds, supported by a sweeping soundtrack. It will be released for PC in September; due to the interest shown in having the game ported to consoles, the developers recently ran a poll on Twitter asking which other platforms fans would be interested in. Nintendo platforms (3DS/Switch) won with 45% of the vote, with PS4/PSVita in second place at 35%. The release date is still TBD (with a tentative delivery date of February 2018), which means that my expectation is ramping up to Arcadian proportions. So let’s look at the nitty-gritty of gameplay; we know the art is gorgeous, but it’s here that the game needs to deliver. We have a 2D isometric tactical RPG fuelled by the goal of challenging strategic battles with unique classes that make every fight a fresh experience. How to achieve that? By ensuring your job classes have focus and purpose and “zero filler skills.” Arcadian Atlas classes have several core builds you can develop over the course of the game. That means class evolution instead of class hopping. Does that sound boring and too restrictive? I hope not, for you can specialize your build through branching evolved classes with entire skill trees all their own; which sounds deliciously complex to me and just what classic RPGs were all about. Maps are around 24X24 tiles with about 5-6 fighters per side. Terrain and weather heavily influence how to approach your strategy. The game will have a jazz-infused soundtrack by German composer Moritz Katz, underscoring what we are promised will be an epic, thought-provoking story of love, deceit, murder, companionship and war. And let’s face it, there aren’t many retro RPGs out there with Bioshock Infinite characters Elizabeth and Booker! Arcadian Atlas is coming to PC/Mac/Linux, and their Twitter feed also mentions iOS. The PlayStation 4 target remained, sadly, out of reach on Kickstarter. Student projects, let’s be honest, can often be amateurish, trite, weirdly unintuitive to play — in short: best left in the student’s portfolio. Sometimes, though, the atmosphere will capture you, as was the case for me with Yurei Station. The story doesn’t do anything boldly new: it sticks to focusing on the personal and on ghostly shivers rather than outright fright. We begin on a train, rattling through the Japanese countryside, with a despondent-looking girl receiving strange, unsettling messages on her phone. They show her the way (via a simple puzzle) to a deserted, unnamed village. Yûrei Station ("Ghost Station") is a simple, short, point-and-click game inspired by Japanese ghost stories. It was written and designed by French Atelier Sentô, based on memories of their life in Japan and the train journeys there; the graphics were hand-painted with pencils and watercolours by students from La Joliverie, Nantes, during a two-day workshop in March 2017. 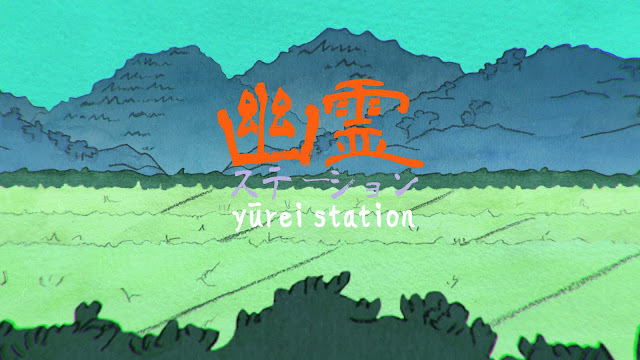 Yurei Station was released recently on itch.io and can be played on PC/Mac/Linux for free. It contains two straightforward puzzles, which mesh contextually very well with the story. You don’t always have to be complicated to be meaningful, especially with simple and artful environmental storytelling.